In January 2015, Intel announced the Intel® Atom™ x3 Processor Family (Code-Named “SoFIA”), a low-cost SoC with 64-bit Intel Atom processor cores and integrated cellular baseband modem for smart or feature phones, phablets, and tablets. Intel® Atom™ x3-C3200RK and Intel® Atom™ x3-C3230RK have since been launched and are currently powering devices manufactured by various vendors and are available in the consumer electronics market. 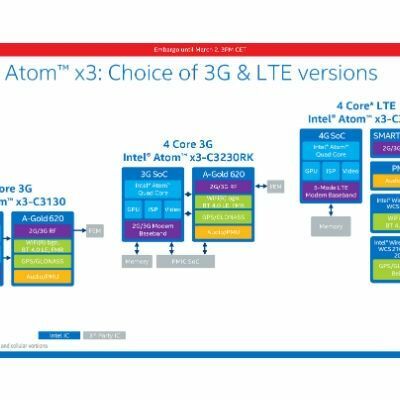 As we have previously discussed, Intel® Atom™ x3 Processor Family provides a foundation to build full-featured and cost-effective platforms which target the entry to mid-level price-range market segments. These devices are not specifically designed as high performance gaming machines, but users will nevertheless play games on these devices. So as game developers, we should keep these market segments users in mind. Understanding the platform hardware and software features will help us develop good practices and optimization approaches to improve the gaming user experience on these devices. The discussion in this blog will focus on the 2 Atom x3 SoC SKUs which have already been launched:C3200RK and C3230RK. Both C3200RK and C3230RK are 4 Core / 4 Thread 64-bit processors, with burst frequency at 1.1 GHz. Both processors come with integrated Mali* 450 MP4 GPU, which supports OpenGL* up to ES 2.0. Both platforms support max display resolution up to 1920x1080 at 60 Hz max refresh rate. In general, to better utilize the CPU/GPU and achieve better user experience on these cost-effective platforms, developers should consider light-weighted graphics workloads. Multithreading of apps is also recommended. Because both processors include Mali GPU, for OpenGL ES API level optimization, please reference the “Mali GPU OpenGL ES Application Optimization Guide”. For developers using Unity* Game Engine, to get information about developing Unity based games to run on x86 platforms, including C3200RK and C3230RK based devices, please visit “Unity* Resource Center for x86 Support”. A good article to read is “Adding x86 Support to Android* Apps Using the Unity* Game Engine”. Currently Intel® Graphics Performance Analyzers do not support the Atom x3 based devices. For graphics analysis, developers may use “Mali Graphics Debugger”.